Hurricane Sandy revealed a massive disconnect between the shareholders of electric utilities and their customers. The storm that caused up to $50 billion of damage across the American East Coast left 8 million people without power – and extra ornery. Politicians are hopping mad, too. Yet the market values of the region’s three listed monopolies barely took a hit. That may be rational today, but in the long term cannot last. The combined market value of PSE&G, Consolidated Edison and Northeast Utilities, which serve customers in New Jersey, New York and Connecticut, has fallen less than 3 percent since Sandy first churned up in the Caribbean. Investors appear to be calculating that customers can’t take their business elsewhere. And while politicians may talk tough, they won’t crack the whip. Instead, extraordinary storm-related costs to the utilities will be deferred and eventually recouped through higher rates. That’s what’s happened in past storms. And there’s ample reason to believe the status quo will remain in effect. For starters, power companies continue to wield immense influence in local state houses. Northeast Utilities was the second-biggest lobbyist in Connecticut in 2009-2010, according to the State Ethics Commission. The implication is that shareholders believe regulators – who are appointed by elected officials – will go soft on their local monopolies and avoid forcing them to increase maintenance costs. At the same time, there’s little stomach for making big improvements in infrastructure, such as burying power cables, because they are so costly. The bill for putting all of PSE&G’s cables underground would exceed the company’s $15.5 billion market value. Moreover, customers would shoulder a majority of those costs through increased rates. With electricity prices in the Northeast already the highest in the nation – and customers enraged with the service they have received of late – that’s a political non-starter. So it may be sensible for investors to take the Sandy situation in stride. But the long-term picture offers less scope for confidence. There have been three extraordinary weather events in the past two years in the Northeast. As storms become more severe and the limitations of the country’s antiquated infrastructure become more apparent, power will gain ground as a political issue. 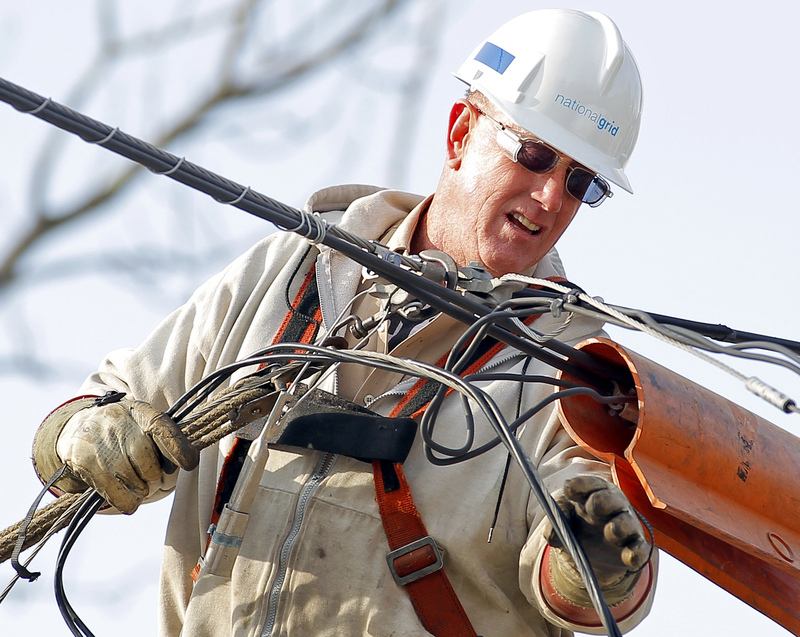 Voters will favor officials who promise to regulate unresponsive monopolies. Customers may pay more, but to believe shareholders won’t pay a pound of flesh would be foolish.